Airport Analytics (AA+) Car Park Revenue Management System (CPRM) is a demand-driven dynamic car park pricing & analytics system for car parks in an airport or even in Malls or Parking Zones. 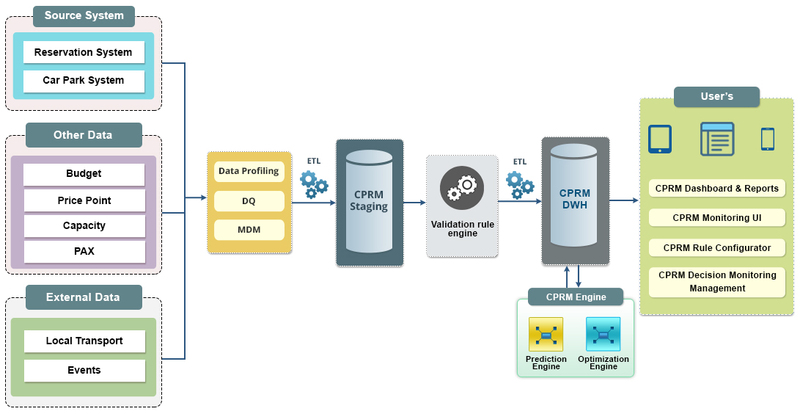 CPRM not only recommends and applies optimal pricing but also provides critical data-driven insights to maximize revenue and management control, for both pre-bookings and drive-ups. Airport Analytics (AA+) Car Park Revenue Management System predict and recommends future price every day for few days ahead based on historical data analytics, algorithms and business rules. Data visualization is done through dashboards and reports with various features and functionalities like Filters for Terminal, Car Park, Time period selection, Scorecards , Drill downs, etc. Does demand exceed your car park capacity? Or the other way round? In either case, get the price right! 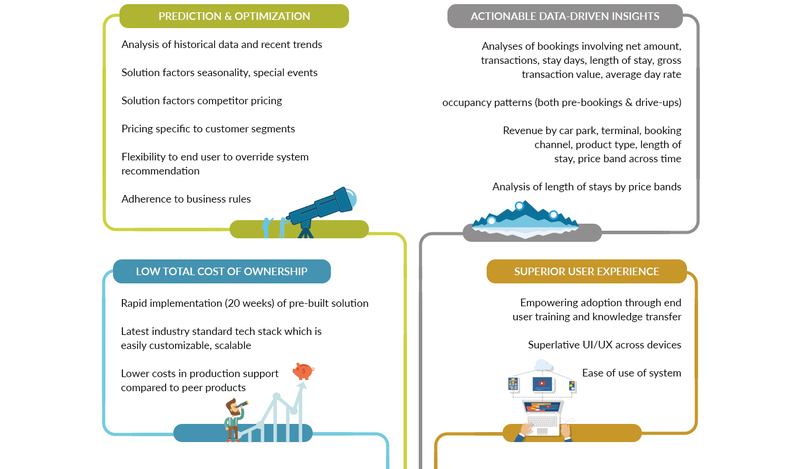 Why Airport Analytics (AA+) Car Park Revenue Management System (CPRM) ?